ALL riders must wear a helmet and use lights for the ride – it'll keep you safe and visible. If you don't have a helmet or a set of lights, the Savannah Bicycle Campaign will have limited supplies to sell at the Midnight Garden Ride. 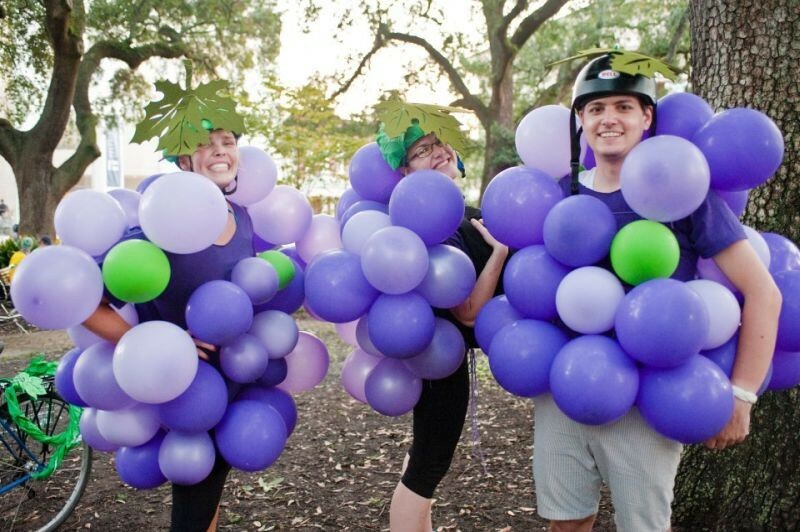 THE Savannah Bicycle Campaign will mark the 10th anniversary of their popular and fun Moonlight Garden Ride on Oct. 20. The nine-mile ride begins at Historic Grayson Stadium, goes through the neighborhoods, and ends back at Daffin Park. 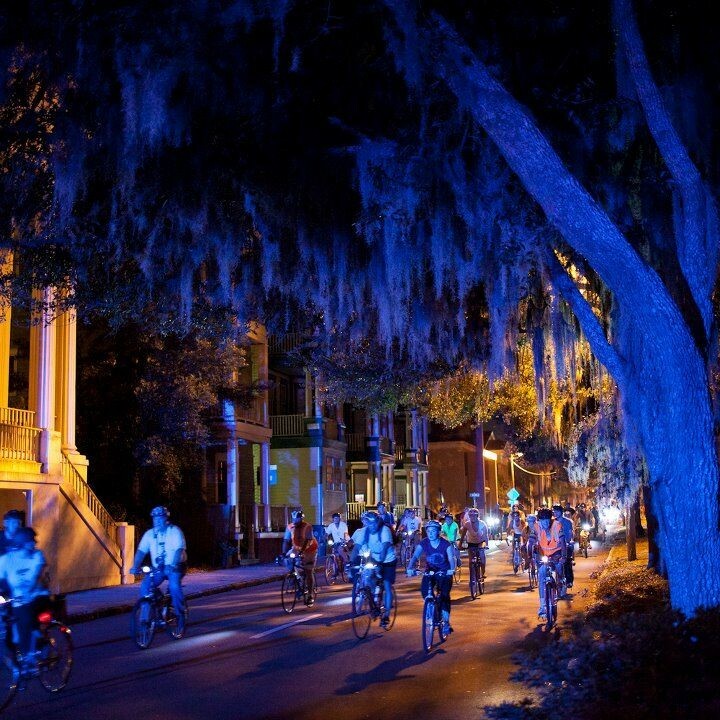 “We started it to share how much fun it is to ride bikes in Savannah at night, especially with hundreds of other people, many of whom are wearing costumes and riding bikes tricked out with all sorts of flashing lights and sound systems. 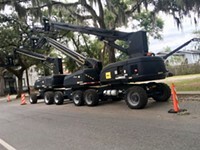 It’s like a bicycle parade more than a ride,” says John Bennett, Executive Director of Savannah Bicycle Campaign. The event also turns out to be their biggest annual fundraiser. As far as registration, the standard rate is $25, but there are discounts available if you are a member of the Savannah Bicycle Campaign. You can also join the campaign or renew your membership when registering. This is the first year the event has been called the Moonlight Garden Ride. The previous nine editions were called the Midnight Garden Ride, but the name was changed this year to eliminate any confusion about the start time – which isn’t at midnight! The ride starts about 7 p.m. from Grayson Stadium and the route loops the historic neighborhoods of: Ardsley Park-Chatham Crescent, Parkside, Baldwin Park, Thomas Square, the Victorian District, and the National Landmark Historic District. It’s not a race, therefore the group travels at a very casual pace despite the ride’s length. It is safe for everyone to attend as the ride is escorted by police officers in patrol cars and motorcycles. At ride’s end at Daffin Park will be music, food, and beverages. Chazitos Latin Cuisine will have a food truck present this year along with several other trucks to choose from. In addition, Savannah Bicycle Campaign has a new partnership with Strider Bikes to offer balance bike “Races around the Bases” at Grayson Stadium. This activity should be fun for the smaller Moonlight Garden Riders. The Stroller Strong Moms are also organizing some kids activities. Two DJs will also be performing before and after the ride. Ian McCarthy of WRUU’s In the Pocket and DJ Press Play. 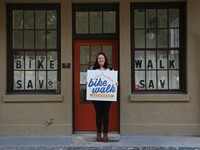 The Savannah Bicycle Campaign was founded in 2008 to “Improve conditions for people who ride bikes for recreation and transportation, as many people in Savannah do not have cars and depend on their bikes to get to work, class, the store, and things like that,” Bennett relates. Bennett says he has met many people that enjoyed the ride even just as spectators. 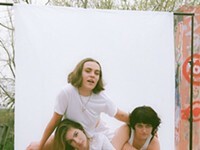 They may have been walking downtown or sitting on their porches in the Victorian District when they saw the ride go by. “When they realize they have witnessed Moonlight Garden Ride, they often exclaim, ‘That’s what that was?! We have to do that next year!’ So, I’d encourage everyone who’s seen the ride or heard about it to ride with us this year. There really is nothing like it,” he says. 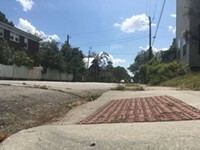 The Savannah Bicycle Campaign acts upon their message through six major advocacy initiatives: Encouragement, Engineering, Evaluation, Enforcement, Education, and Equity. Regarding enforcement, “We work with the police to make sure traffic laws are enforced and crashes involving people on bikes are properly investigated,” he says. All profits from the campaign benefit the non-profit Savannah Bicycle Campaign.